Join our weekly giveaway link up for August 21-28, 2015. Make sure you link up and enter to win some giveaways. 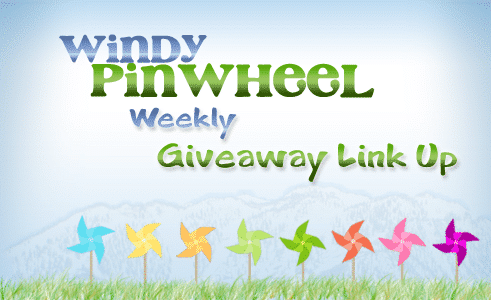 We, at Windy Pinwheel, are very excited for some giveaways. We always sharing our giveaway link ups/links with you. We want you to by sharing of the perfect found . One way we can some of these great opportunities is by your giveaway link right here on our site, Windy Pinwheel. What is your favorite thing about Spring andd/or graduation season? Leave us a comment below and let us know.